NEW YORK -- The TCS New York City Marathon Opening Ceremony kicked off marathon weekend in New York City. The ceremony on the Upper West Side of Manhattan featured the Parade of Nations and showcased runners from around the world as they parade across the finish line. Representatives from NYC running clubs and several U.S. organizations, as well as professional runners and wheelchair athletes, were part of the procession. The event kicks off a weekend of festivities culminating with the running of the TCS New York City Marathon on Sunday. 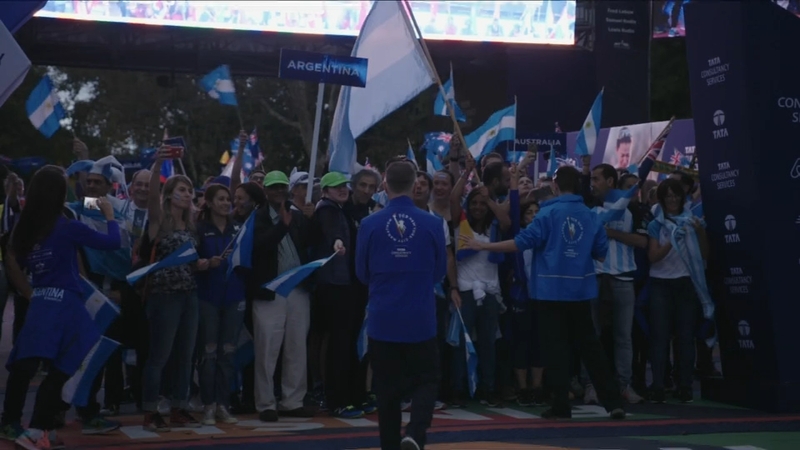 Watch part 1 of the marathon's opening ceremony. Watch part 2 of the marathon's opening ceremony. Channel 7 is your home for complete marathon coverage. Join us on Saturday for our live special, "Countdown to the Starting Line" hosted by Eyewitness News Anchors Liz Cho and David Novarro. This half-hour special on the eve of the TCS New York City Marathon captures all of the excitement of race participants and a city ready to host one of the greatest spectacles in all of sport. The setting is the TSC New York City Marathon Pavilion just steps from the Finish Line in Central Park. Thousands of runners from all over the world come to share the anticipation of the big race, as well as Marathon week activities like the colorful Parade of Nations in Central Park. Then on race day, Sunday, November 5, join Ryan, Laura, and the Eyewitness News team for pre-race coverage starting at 7 a.m., followed by the main event with ESPN's Sage Steele and John Anderson! For more marathon coverage, visit abc7NY.com/nycmarathon.